Sophie Bard’s eye-catching designs are bold, beautiful and unique. At 23 she already has an impressive client list. 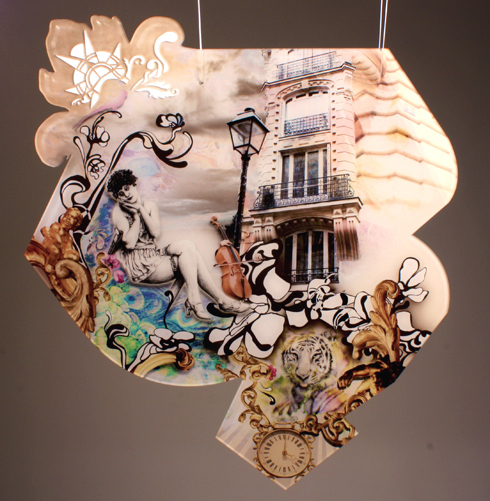 Here she talks about her studies, current projects and what inspires her. AVA: Where did you study? SB: In July I graduated from Nottingham Trent University, UK, with a BA (Hons) in Textile Design and specialised in print. AVA: What would you say was the most interesting or enjoyable part of the course? SB: Being able to apply all the experimentation and techniques that I have learnt during my arts education to a commercial product. 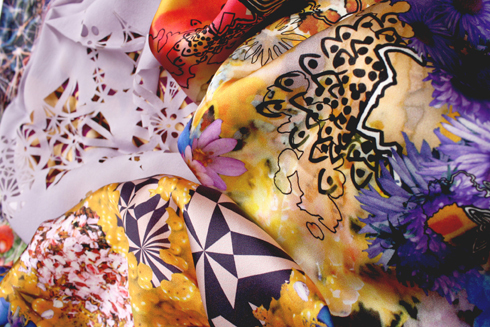 Learning how the textile industry works and how your artwork can end up being used on fabrics/surfaces on anything from designer catwalk collections, to mass manufactured garments, high-end art installations or even wallpaper. AVA: What was your most interesting or memorable experience during your course? SB: I think the most memorable part of the course was my final year. 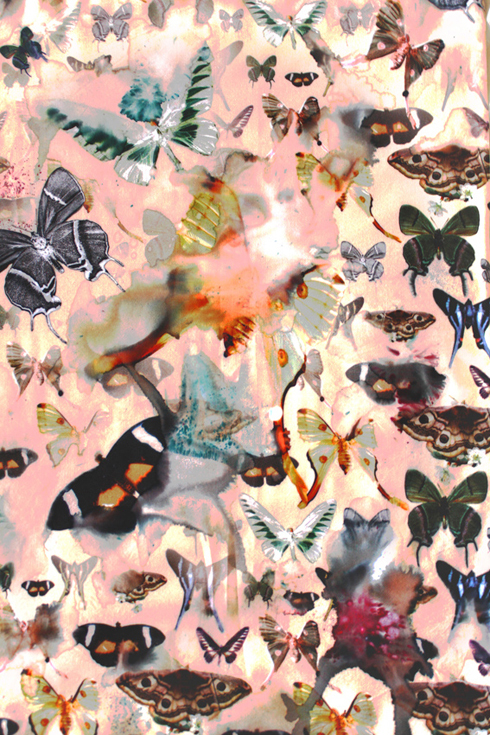 The experience I had during this year was enhanced by my gap year where I worked in a fashion print studio in London. I was able to apply the knowledge and skills learnt in this year (and the first two years of my course) and fully express my ideas to produce two collections. The first collection was a commercially driven florals project in which I produced a range of fabric designs for use in the apparel industry. NTU now has a stand at Première Vision so this has allowed me, and other undergraduates and alumni, to exhibit our designs on an international platform, enabling us to sell our work to companies worldwide. The second collection in my third year was more innovation led, both in terms of imagery and process. I designed a range of lighting panels for use in commercial spaces and really used the time I had to fully focus on learning and developing my collection to its full potential. This has been the most enjoyable project to date. The freedom to explore, the diversity, and the intense learning made my final year the most memorable. AVA: What inspires your work? 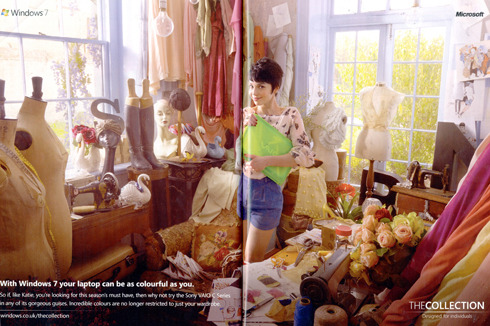 SB: I am inspired by many things in life but it is always the most quirky that catch my eye. Although I find nature and flowers beautiful I mainly use other references in my work – or mix florals with different kinds of imagery to create more dynamic prints. AVA: Who is the biggest influence on your work and why? SB: I find that having a diverse range of influences keeps my ideas flowing and helps to contextualise my designs. 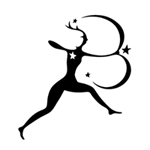 To inform my final collection I looked at historical periods such as Art Deco & Nouveau. I tried to mix some of the aesthetics identified within these periods with styles from contemporary illustrators such as Pomme Chan and Julie Verhoeven. AVA: Which piece out of all of your work best represents your overall collection and why? 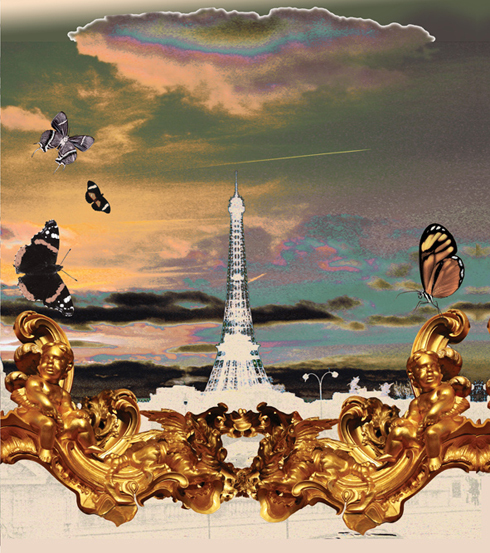 SB: The design which best represents my final collections is a lighting panel used as one of my exhibitions pieces, which uses various kinds of imagery including; a woman from the 1920s, animals, patterns, vintage musical instruments, ornate architecture and others. This is because this design incorporates many different elements of varying styles and textures and shows how I like to work in an eclectic way. Sophie’s lighting panel exhibition piece – this is what first caught our attention as it was on display opposite our stand at New Designers! AVA: Have you worked with any clients on projects? SB: Working in a fashion print studio for a year, during the second and third years of my course, gave me the opportunity to sell my designs internationally to a wide range of clients ranging from high-end to more commercial fashion brands. I also had the opportunity to work on live briefs with clients such as Faith Connexion, where I had to create a range of t-shirt designs for the French apparel brand. 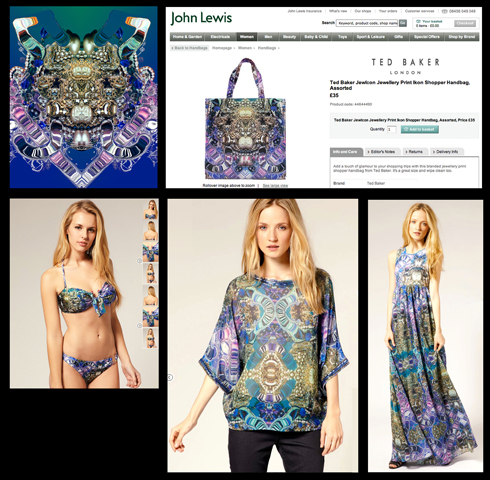 Sophie’s jewel print designs for Ted Baker, available from John Lewis. Aside from the fashion industry I have also worked on projects designing graphics to promote local club nights in Nottingham. 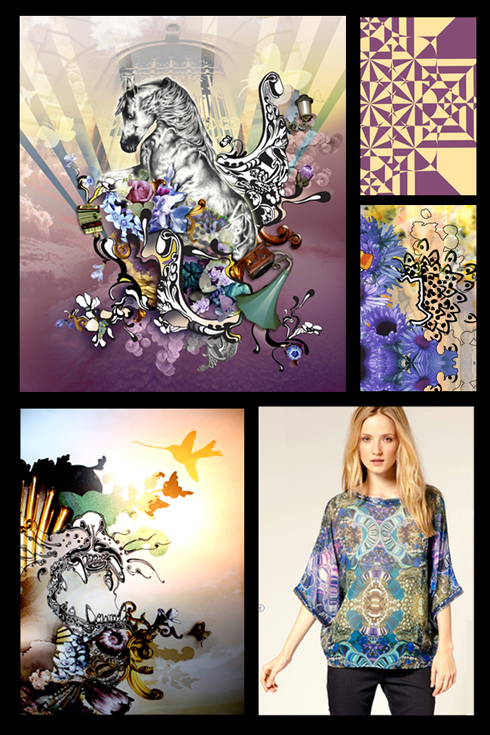 I have also been lucky enough to have one of the prints that sold to Topshop featured in Vogue and Grazia in a Windows 7 advert. AVA: What kind of materials do you use in your work and why? 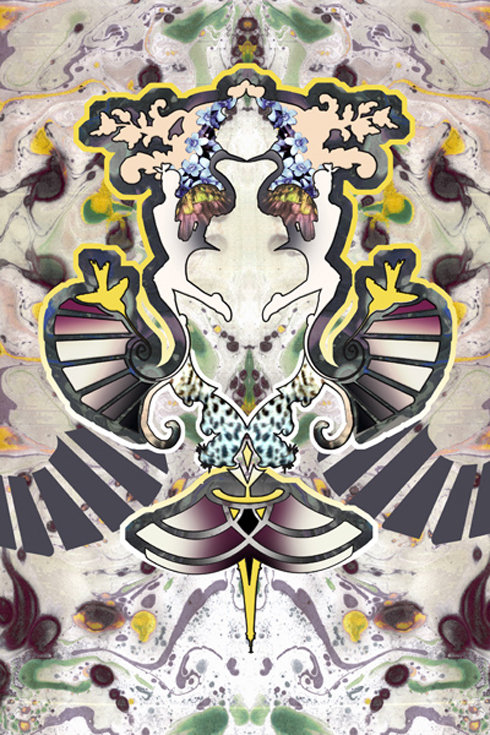 SB: To create my prints I love to use a mixture of photographs, drawings, paintings and vector shapes. 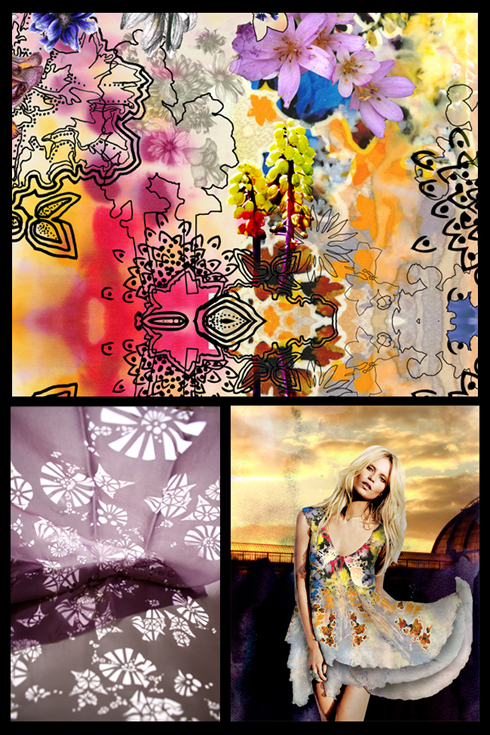 The designs are then collaged in Photoshop with added computer manipulations, then printed digitally onto fabrics to be used in garments. Because I had already developed these techniques and used digital printing a lot in my 1st, 2nd and gap year I wanted to diversify my skill set as much as possible in my final year. So for my first collection I produced a range of fabrics mixing digital print with hand dying, screen printing, hand painting with pigment powders, and laser cutting. Then for my final collection I developed lighting panels and attached my printed illustrations to boards made up of either clear Perspex or plywood. I then added patterned holes to the boards using the laser cutter. 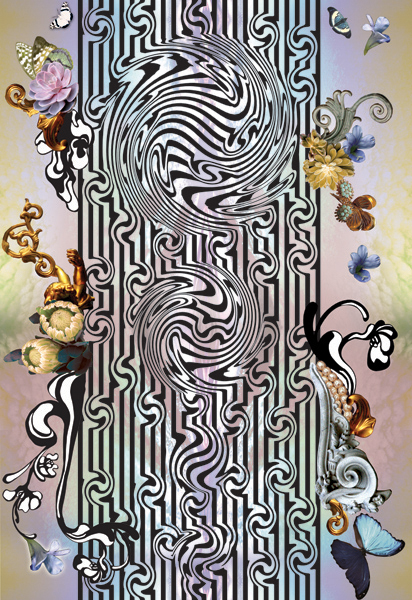 As this project was interior based I also created two more groups of designs to accompany it – one group of fabrics and one group of wallpapers that were digitally printed onto lining paper. AVA: If you could describe your design style in five words what would they be? SB: Experimental, Colourful, Graphic, Eclectic… and a bit ‘mental’. AVA: What kind of advice would you offer to someone interested in design? SB: Be open minded – you never know what could inspire you. For me work experience has been really important so I would recommend taking a gap year and doing a longer placement if you can. A lot of companies allow you to work for them on a part-time basis so you can get paid work for the rest of the time that you are there. Listening to the experience of others has helped me progress, especially during my gap year when I was able to meet a lot of other graduates, students and industry professionals. AVA: What are you currently working on? SB: I am currently working as a print designer for Paul Smith in Nottingham. 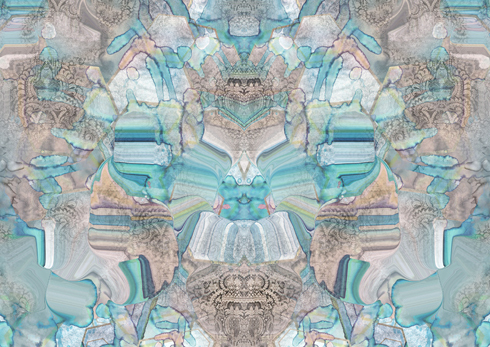 I work on creating designs for wall hangings and rugs as well as assisting the print design team with men’s and women’s accessories and special collaborations. AVA: What are your hopes for your future career? SB: The NTU degree show, New Designers and a recent trip to New York (for trade shows Direction and Print Source) have enabled me to meet various textile and fashion companies who I may work for, or work on collaborative projects in the future. These projects greatly vary from producing a range of anniversary cards, to developing a range of high-end, laser cut jewellery, to creating a range of prints for surf/skate/swim and sportswear brands etc. I also plan on collaborating with local designer-makers and friends, Daisy Thomas and Merri Making. Daisy Thomas creates hand made, high-end jewellery pieces and accessories and Merri Making produce quirky animal hoods and accessories and are both NTU graduates. 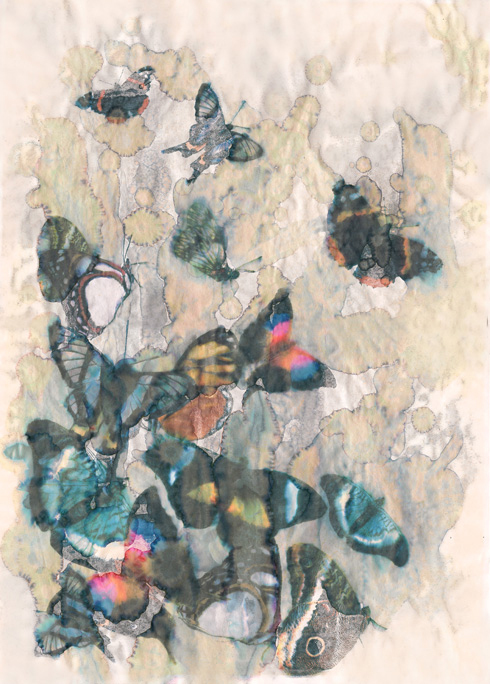 Below is an image of Sophie’s Arts Thread portfolio homepage. You can visit it by clicking here. You can also visit her website for more of her ‘Love Bard Art’ designs. If you are interested in learning more about textile design, check out our textile design and fashion design books, all available from our website. Just wanted to say I was blown away by Sophie’s work. Have spent hours looking at your work, truly exceptional and you deserve all the accolades. Yes isn’t it amazing! I have contacted Sophie to let her know about your interest. I must say that Sophie is really doing a great job at this young age and the designs that she has created are pretty awesome.